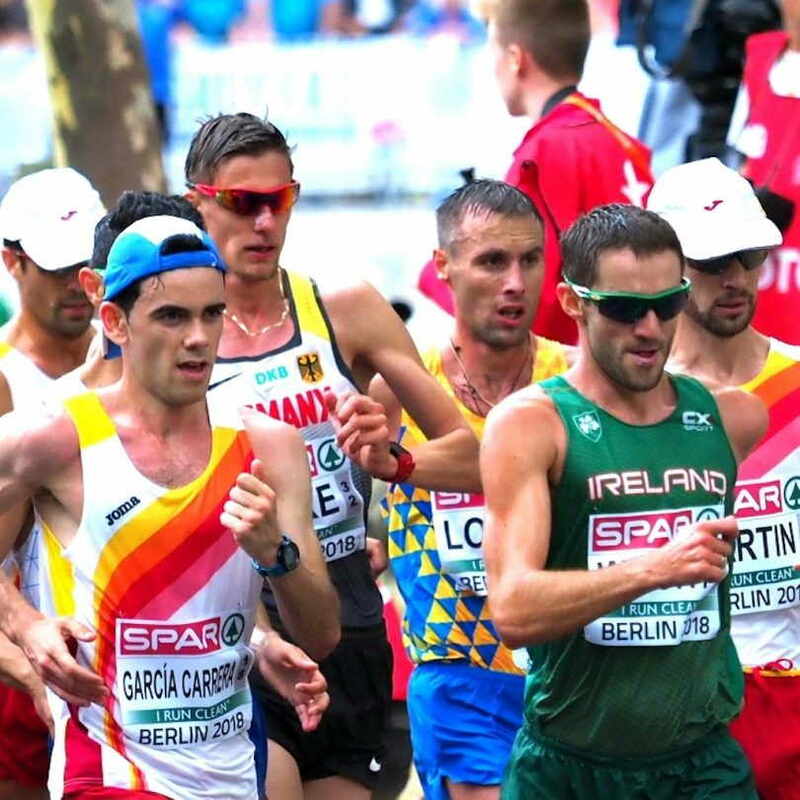 The curtain draws on the European Championships, which many agree was one of the best. 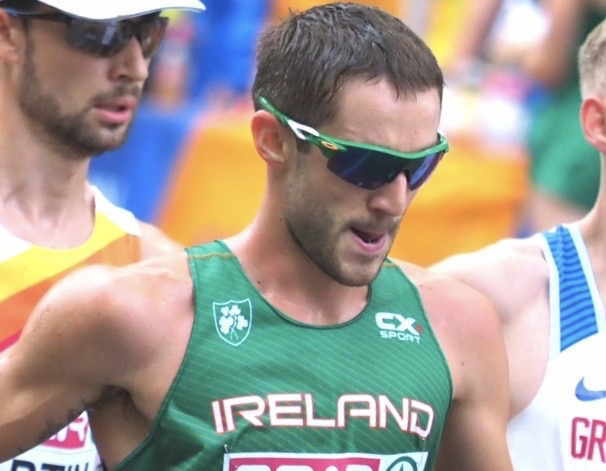 A strong team of Irish athletes competed, most producing season and personal bests, with Ferrybank’s Thomas Barr bringing joy to the athletics community by winning bonze in the 400m hurdles. 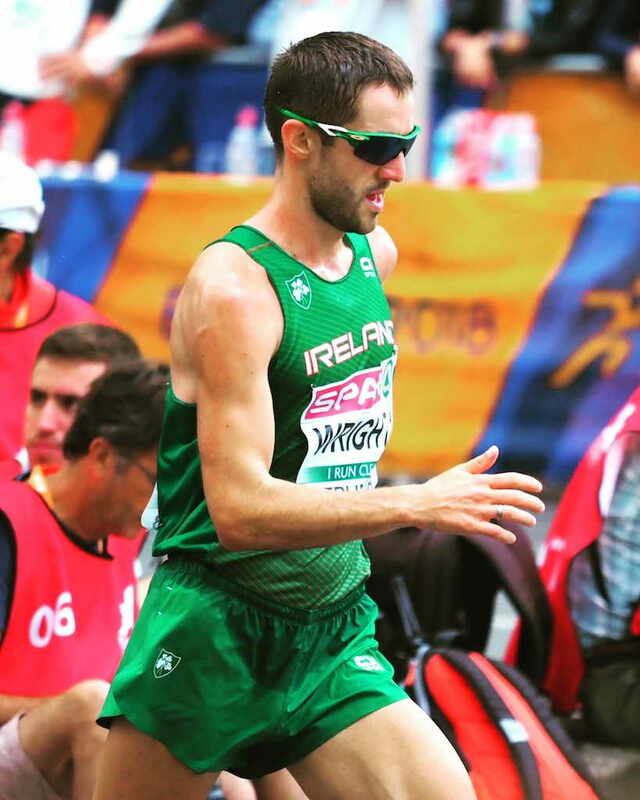 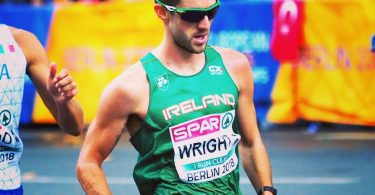 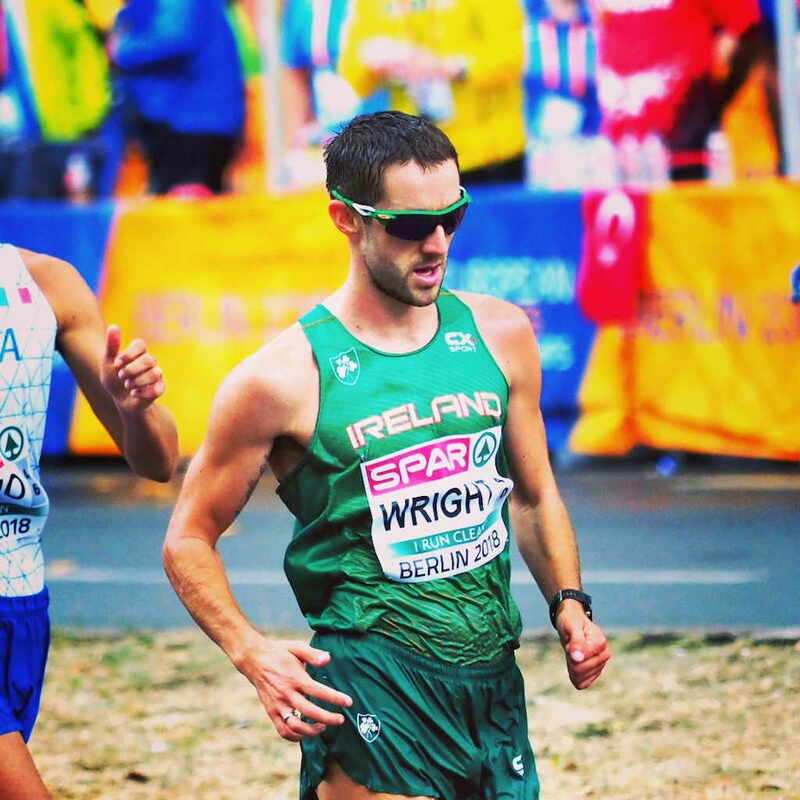 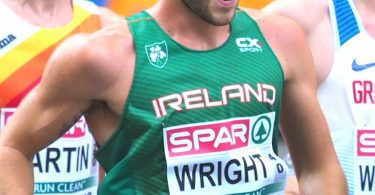 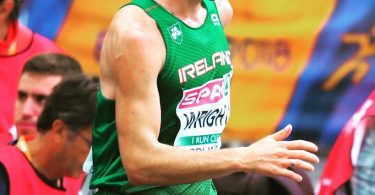 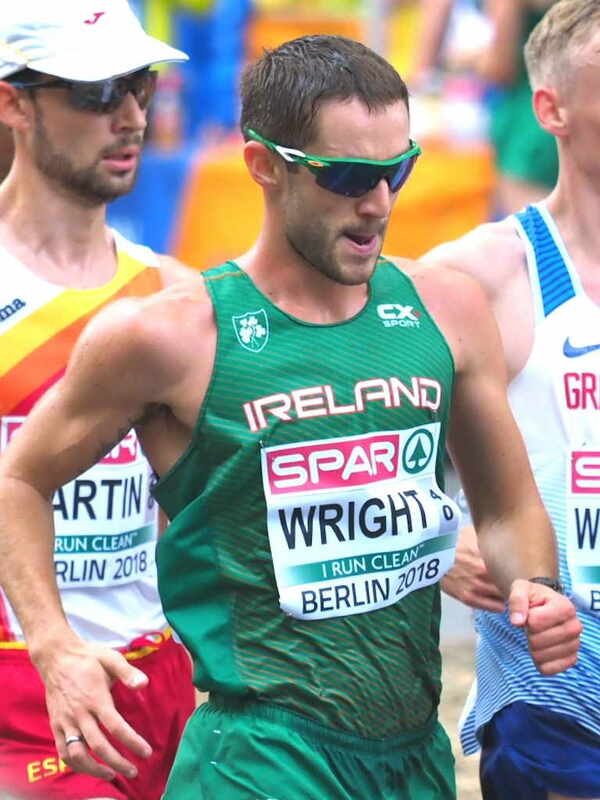 On Saturday morning Alex Wright competed with the best athletes in Europe in what was his finest performance in an Irish singlet. 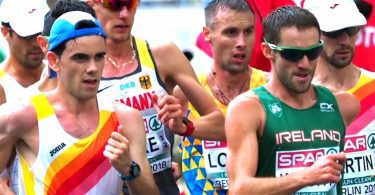 Alex was in the shake-up for much of the men’s 20km race walk before he picked up a second caution at 14km, he states “I then had to play it safe because I had two warnings but I’m happy with my performance and it’s my best championships for Ireland.” Having dropped back to 16th he came back again strongly for a fine 10th place in a season’s best of 1:22:18. 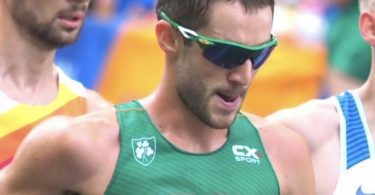 This was a very good stepping stone for Alex and shows he has the capability of medalling at future championships. 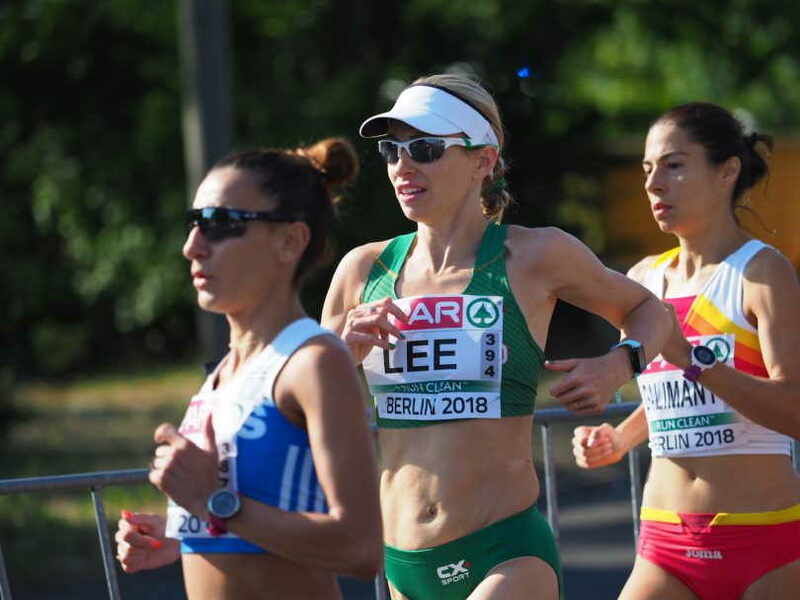 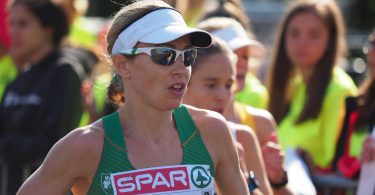 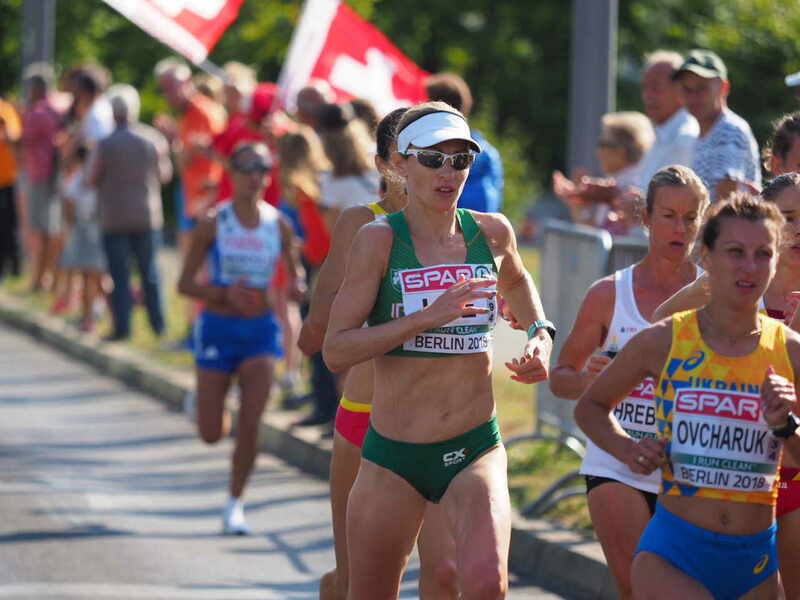 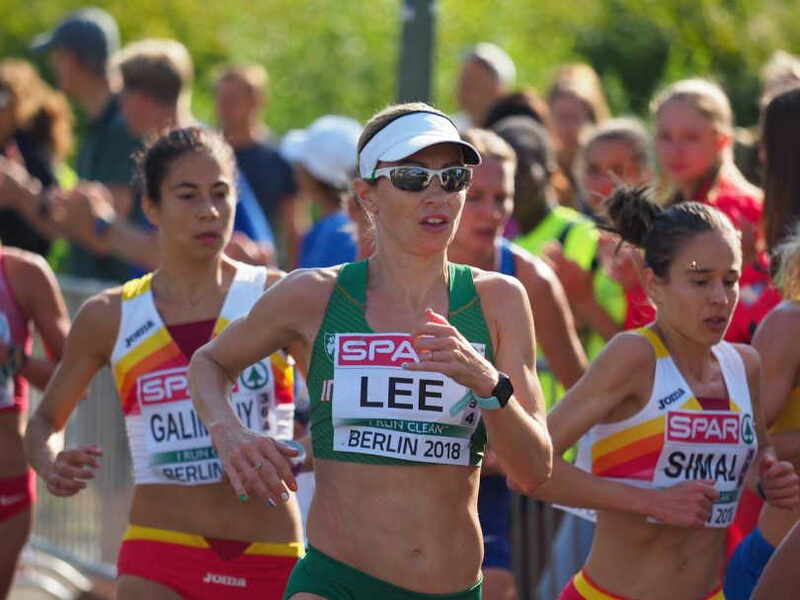 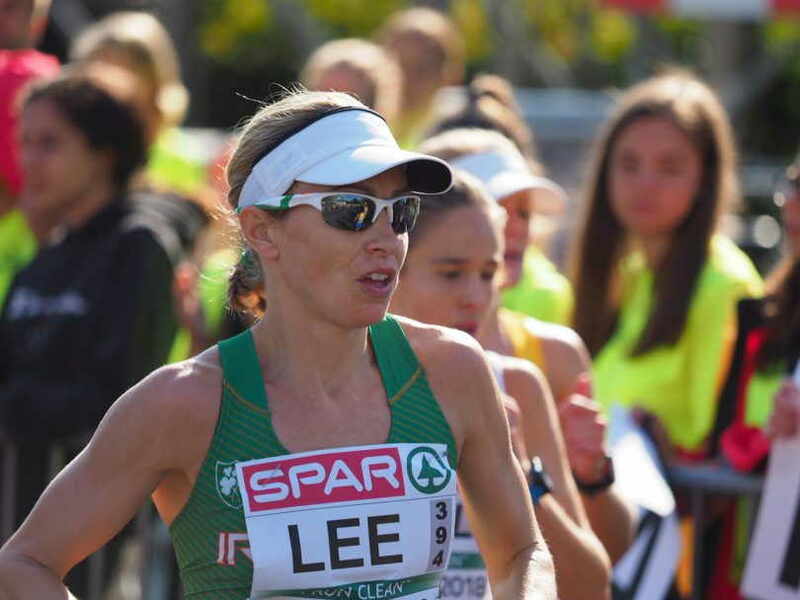 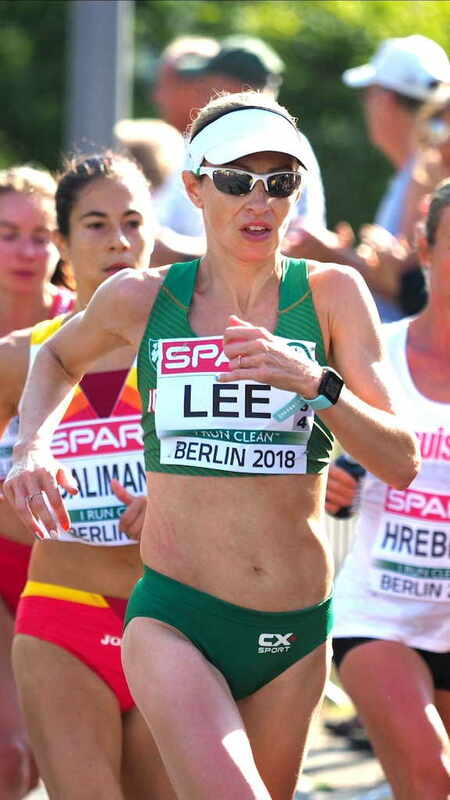 The marathons were held on Sunday, in warm conditions Lizzie Lee led the Irish team to an 8th place finish, Lizzie finished 29th in 2:40:12 followed by Breege Connolly (North Belfast Harriers) in 31st in 2:41:53 and Gladys Ganiel (North Belfast Harriers) in 33rd in 2:42:42. 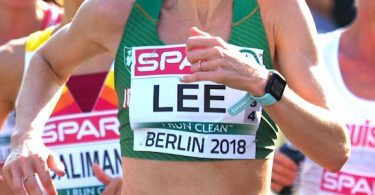 Their combined time was 8:04:46. 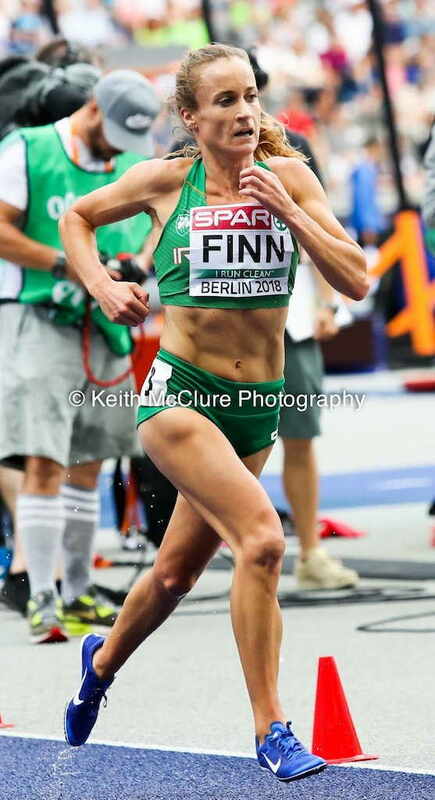 Friday morning Michelle Finn lined up in heat 2 of the 3000m steeplechase. 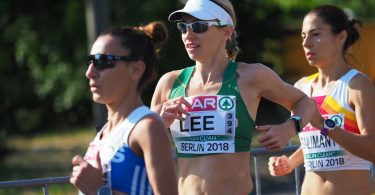 Unfortunately in trying so hard to qualify for the championships, Michelle had nothing left in the tank to give, “I just felt flat and I just couldn’t get going,” said Finn. 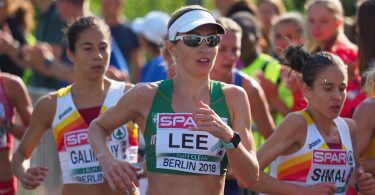 It is always great to have a squad of Leevale athletes representing Ireland at major championships.